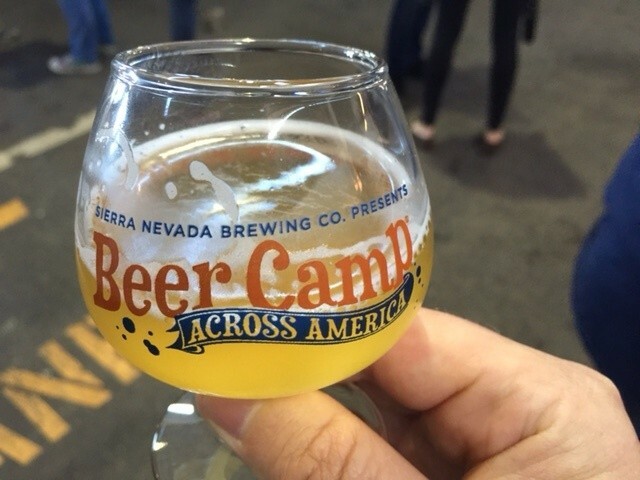 It all started a few years ago, when Sierra Nevada launched Beer Camp Across America, a series of festivals all over the country that showcase regional breweries and Sierra's annual collaboration beers. 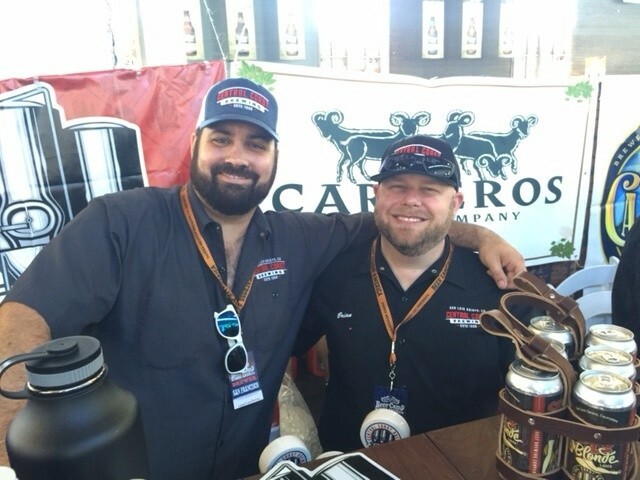 The legendary, Chico-based brewery was always a sort of godfather to the craft-beer scene, but these events have truly solidified Sierra's standing as ambassador and unifier. 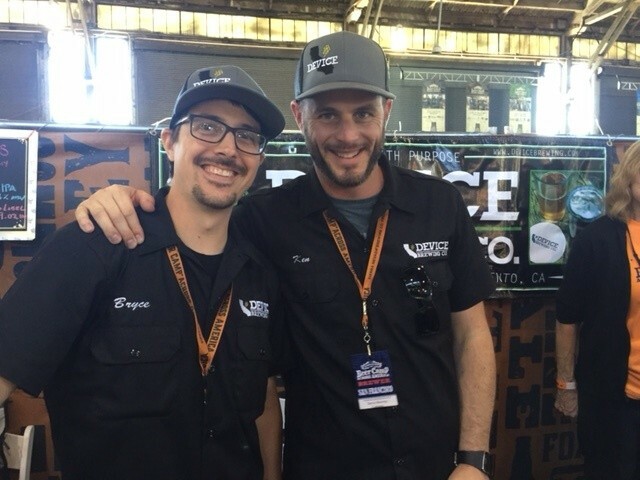 San Francisco hosted one of six Beer Camp gatherings this past Saturday inside Pier 35, and the sold-out event was a unique occasion to discover new West Coast (and beyond) breweries and also revisit some favorites. An exciting take home from this past Saturday is that so many breweries have dialed-in their offerings. I sampled more than 40 beers during my three-plus hours at the event, and can recall but maybe two or three duds. Instead, what I encountered was pour after pour of impeccably crafted brew. That's not always the case at these higher profile, mainstream beer fests. Another observation: IPAs are cooling off — barely. A lot of breweries challenged drinkers with everything from sour stouts (from Track 7 Brewing Co.) to herbed cask ales (from Moonlight Brewing). But I'd be lying if I didn't concede the day to hoppy brew: California is still a hop-forward beer drinker's paradise. The promising news is that pale ales are on the rise (finally! ), and brewers are putting out lower-ABV hopped beers on the regular. Here are 10 memorable brews from Saturday's Beer Camp in S.F. This IPA's aggressive citrus aromatics stood out — which says a lot, because after nearly four-dozen beers, it's a challenge to keep the olfactory skills sharp. Rick Sellers with Auburn Alehouse explained that its strong nose is customary of Comet hops, which is the driving force behind this unique IPA. Auburn Alehouse produces this every two or three years, Sellers explained, perhaps because its made with the amount of hops you'd pack into a DIPA, but is brewed like a single IPA (just 7.2 percent ABV). Dry and fruity, this was as flawless a hoppy beer as you'll find in Northern California. 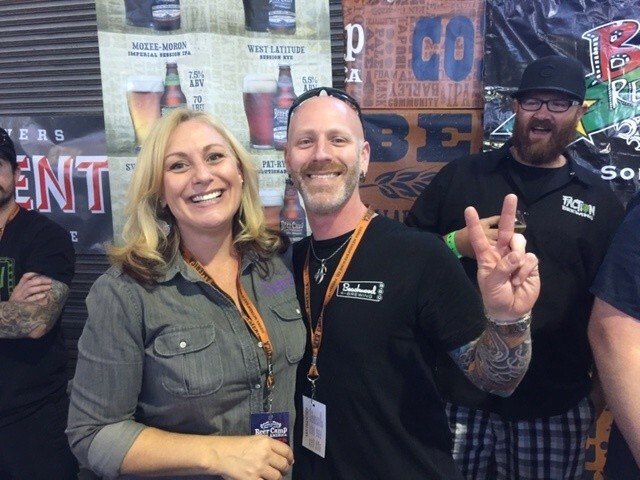 I'm told credit goes to brewermaster Jennifer Talley, a veteran Great American Brew Fest winner who recently joined the Auburn Alehouse team. The line at Russian River's booth was about 30 deep all day, but it moved with ease. And while most queued for Pliny The Elder, some of us were keen on a new offering from the famed Santa Rosa brewery: Intinction. Brewer/owner Vinnie Cilurzo told the Express that this was only the second time he'd ever poured Intinction, and that it hadn't even made it on the big board at his flagship brewpub. "It's a pilsner, aged in sauvignon blanc wine barrels, and with sauvignon blanc juice added at fermentation," he explained. There's also four different kinds of "Brett," or brettanomyces yeast, all very mild strains, which Cilurzo says gives the beer a gentle funk and acidity. "But it's not sour, by any means," he added. This was the first time any Russian River barrel-aged beer has used a pilsner as its base. "I just thought a light, delicate beer would be perfect for the base," Cilurzo said. Consider it a success: crisp and juicy, with only the gentlest of Alsatian-inspired sweetness and the softest of brett bite. I went back for a second pour — and a third. Barrel-Aged Brits in Moscow, Device Brewing Co.
Ken Anthony (right) of Device Brewing Co. Their BA stout is legit. s, and the result is one of the finer California BA-RIS brews that you'll drink — if you can get your hands on this limited batch, draft-only release. Device nailed the body on this one (not too syrupy or motor oil-y), and the interplay of heat and sweet is solid. Good news: Anthony said there's even more sitting in barrels back at Device HQ. This latest batch of Ferus by Mraz was exceptional: a mellow funk buzzing in the background of an otherwise clean, sour brew with quiet summer berry character. Brewer Mike Mraz also brought with him a eye-catching peach-and-apricot fruited saison, and it was interesting to see how the two very popular stone fruits played off each other in this delicate beer. Julian Shrago (right) of Beachwood is a master of hoppy brews — but don't sleep on his lager. I've sampled all kinds of IPAs from all over the world, yet I bet t hat I could identify brewer Julian Shrago's hopped beers in a lineup of one hundred. I'm not bragging — is that something to crow about? — they're just incomparable. I'd had this beer, and its explosive and sticky character keeps me coming back. Drake's is back on my radar with this tropical session IPA (4.3 percent) that belies its thin-bodied contemporaries. It's also a mosaic-hop brew that actually achieves nice balance and mouthfeel. Drake's says they're going to put this one out until the end of summer, which is too bad, because for me it's a year-round sipper. The Penske File, Faction Brewing Co. Faction is my go-to summer brewery in the East Bay, and Penske is my 2016 jam. It clocks in at 5.8 percent ABV, just low enough, and the tropical mosaic and floral equinox hops impart a nice citrus-pine balance. And, like any good faction beer, it finishes clean and dry. Belching Beaver is one of those breweries I'd heard about but never explored, probably because of its name (or beer names like "Pound Town"). Anyway, this IPA is soft, juicy (but not chewy), and full of nuance from hops like citra (citrus), mosaic (tropical), and nelson (that dank cat piss flavor you can't resist). I adored this brew, which brewmaster Troy Smith said he can't make enough of at his three-and-a-half year old brewery. I'm new to Oakland, so Linden Street brews are new to me. But they're excellent. And, conveniently, the tasting room is less than seven blocks from the Express headquarters. But what shocked me — shocked! — was how enamored I became with brewmaster Shane Aldrich's hefeweizen: sweet at first, but then a sharp bite of wheat, and a crisp finish. I'd had zero interest in hefes up until this sip, but I'll be hanging at Linden Street near Jack London Square often this summer. The fellas from Central Coast Brewing Co., and their excellent pale ale. This was the find of the festival: a 5.5 percent, mosaic-forward pale ale — dry, tropical, easy-drinking. Sure enough, this brew to ok home the big pale ale prize at last year's Great American Beer Festival. "We can't even get it out of the brewery," brewmaster Brendan Gough said, then laughed. How awesome to see San Luis Obispans going nuts over a pale in this world of IPA obsession. Way to go, SLO.